Bear with the photo. It’s coming from a slide to a print in a thesis to a scanner to here. 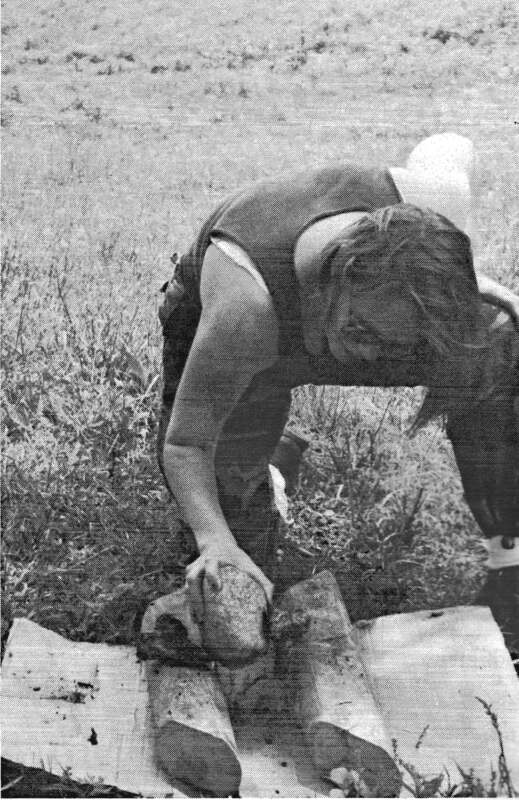 Yup, that’s me–breaking pig bones with a rock. That thesis is a real page turner. You could probably still check it out from the University of Tennessee, Knoxville. Some things never change. 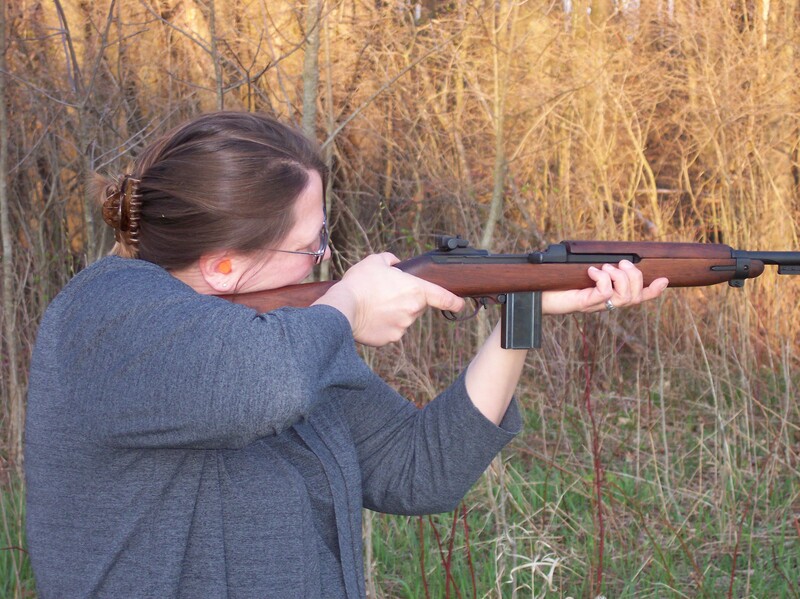 This is me using a WWII-era M1 carbine–the same type of gun Kitty Irish uses to hunt werewolves in Trajectories (coming 3/2012 from Turquoise Morning Press). Yup, research is really the best way for me. How else would I have known that the gun leaves a BIG bruise on your shoulder? Or that it recoils into your jaw if you’re not careful? Or how about that sometimes the shells eject into your head leaving a nice bloody half-moon behind (my hubby got to figure that one out!)? Ahh, research…gotta love it. How ’bout you? You are scaring me. Remind me not to get you angry. Glad, though, to see you are wearing ear protection. Love the detail about the bruise. Joe got scope-eye from the recoil of his hunting rifle once. This is why the main character in my novel (thinks he) is a linguist! 😛 On the other hand, though, I love writing sword fighters, and my swordfighting experience is pretty much nil aside from fencing. Time to sign up for some broadsword classes! Wow–I never knew you delved into your research so thoroughly. Ouch for the shoulder. Your blog is looking great!